Reading was important to me from a very young age. It was the special thing my father and I did together, it gave me friends, and it took me away from my sometimes less-than-ideal childhood. I remember always being a reader, and there is no one book that stands out as the one that made me that way. Instead, there are an assortment of worlds, characters and memories that all meld into each other to create the beloved literary world of my childhood. What surprises me about this world is that it looks nothing like the worlds of the books I write now. My work is gritty contemporary, but as a kid I loved science fiction. The books that stand out are A Wrinkle in Time, The White Mountains, The Man Who Fell to Earth, and Stranger in a Strange Land. I loved getting lost in those unfamiliar worlds and following the heroes as they were thrown into the most extreme situations. 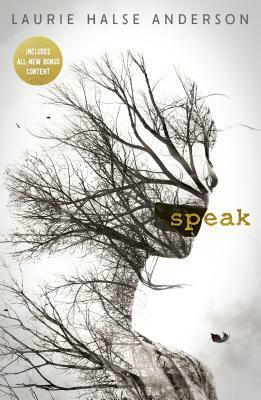 I loved how high the stakes were, how the characters were pushed to be their very best selves. Most of all, I loved experiencing a drama that had nothing to do with me. There was (and is) so much freedom in having the power to leave our lives whenever we want, in a way that is safe, and intellectually and emotionally stimulating. I was (and am) a kid who needed that very much. As a young child, what I wanted from books was to escape. As I got older, what I needed even more was to dive deep into reality (even the painful stuff). This shift happened pretty drastically around age 13, coinciding with a move from my childhood home. Many other huge changes were happening in my life then. What I suddenly wanted was the worlds of my books to reflect the world I lived in, not to help me escape from it. I wanted desperately to be understood. While no book reflected the exact plot points of my life, I found an infinite well of books that matched my emotional world. 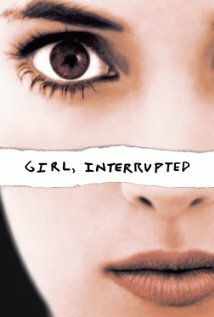 Girl, Interrupted by Susanna Kaysen and the poetry of Anne Sexton were the books I re-read too many times to count. Somewhere around 13, I reached the emotional maturity to really start processing my reality. My taste in books reflected that. Seeing myself mirrored in a book’s pages helped me understand my own life. 13 is also the age when I really started writing in earnest. I needed to express myself. I needed some sort of outlet for the huge world of my emotions. Reading and writing gave me a safe, dependable world to be myself. I was always someone who liked reading, but I think 13 was when I really fell in love with it. That’s when I needed it to save my life. Now, 22 years later, it hasn’t changed much, though it’s not so much my own life that concerns me anymore. I am no longer that lonely, troubled girl who needed to be understood. Now, I am writing for her.